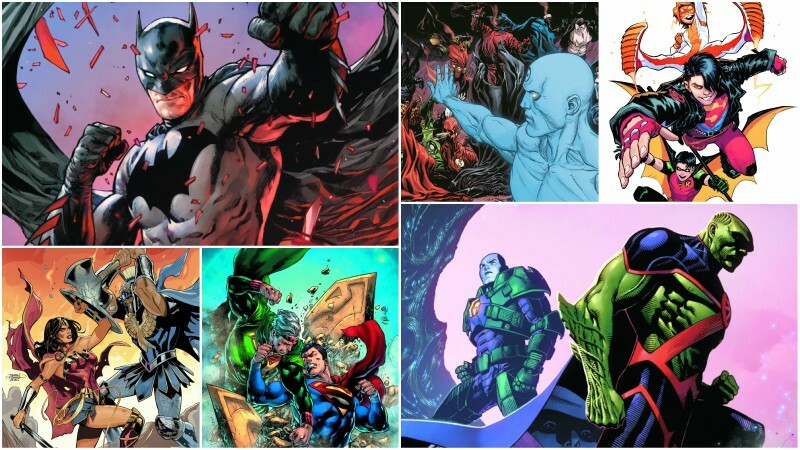 The full DC Comics January 2019 solicitations have been released, and in the gallery viewer below, you can now check out all the artwork, synopses and product images for more than 100 different upcoming releases. The new month brings some new starts for the DCU with the debut of Brian Michael Bendis’ Young Justice #1! Superboy! Wonder Girl! Robin! Impulse! Amethyst! They’re all united in Young Justice #1, the debut issue of a brand-new series that also introduces new heroes Teen Lantern and Jinny Hex! When the nightmare dimension known as Gemworld invades Metropolis, these teen heroes reunite to deal with the situation—but they’re shocked to discover the battle may be the key to the return of Conner Kent, a.k.a. Superboy! This mix of fan favorites and new legacy heroes will be the center point for some of the biggest goings-on at DC! 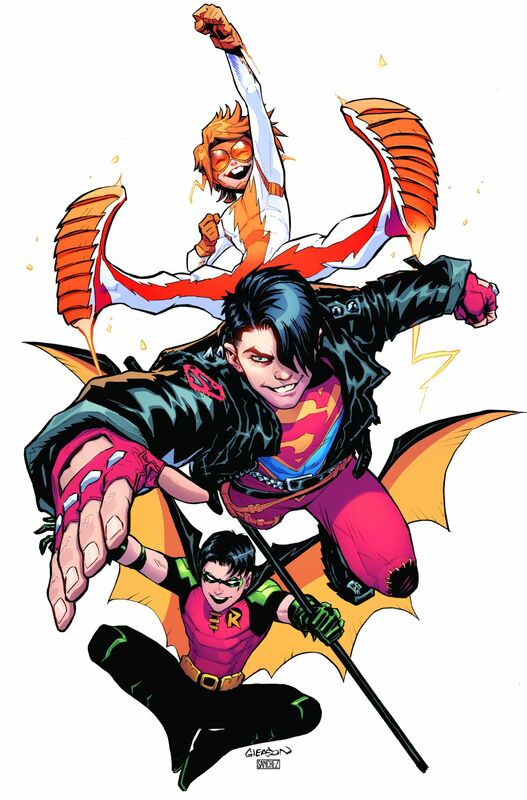 As if that weren’t enough, Bendis reunites with all-star artist Patrick Gleason to bring the new heroes of DC’s Wonder Comics to life! In addition, DC will debut The Other History of the DC Universe, a prestige format series from Academy Award-winning screenwriter John Ridley (12 Years a Slave, Let It Fall). Ridley examines the mythology of the DC Universe in this compelling new miniseries that reframes iconic moments of DC history and charts a previously unexplored sociopolitical thread as seen through the prism of DC Super Heroes who come from traditionally disenfranchised groups. This unique new series presents its story as prose by Ridley married with beautifully realized color illustrations from a selection of exciting illustrators and comics artists. Alex Dos Diaz provides art for #1, which follows the story of Jefferson Pierce, the man who will one day become Black Lightning, as he makes his way from being a young track star to a teacher and, ultimately, to his role as a hero. Future issues focus on characters such as Karen and Mal Duncan, Tatsu Yamashiro and Renee Montoya. Extensively researched and masterfully executed, The Other History of the DC Universe promises to be an experience unlike any other. You may think you know the history of the DC Universe…but the truth is far more complex. The Other History of the DC Universe isn’t about saving the world—it’s about having the strength to simply be who you are. You can also check out the DC Comics December 2018 solicitations from last month and check back soon to see what January will be bringing from Marvel Comics. Which of the DC Comics January 2019 solicitations are you most excited for? What items would you like to see announced from DC Comics next month? Let us know in the comments below!